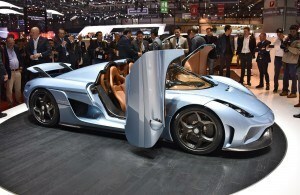 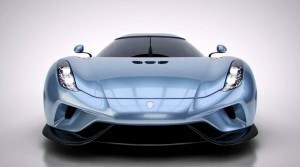 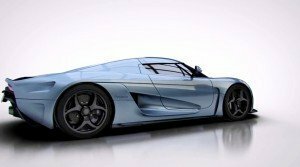 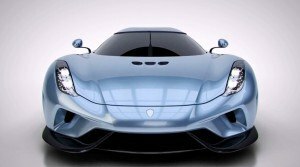 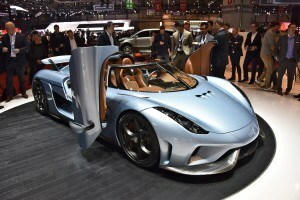 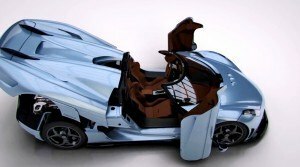 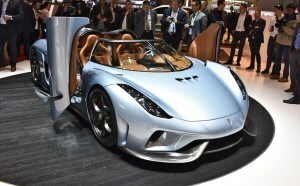 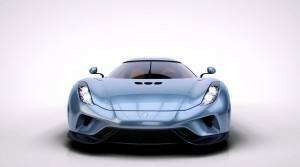 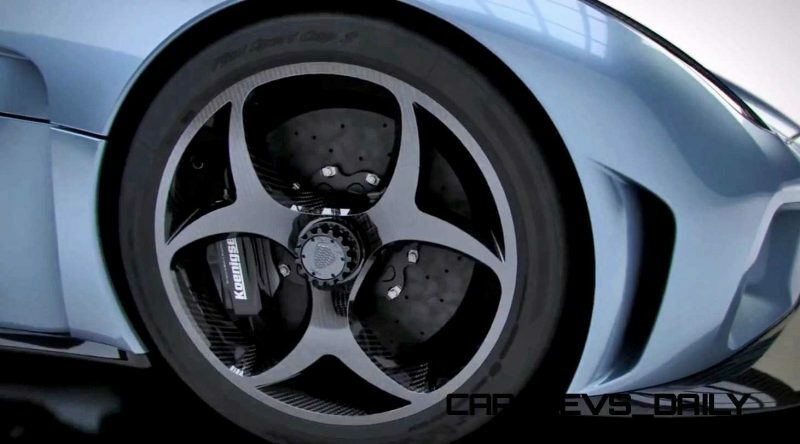 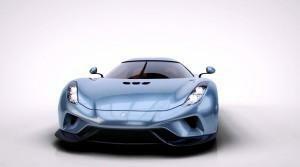 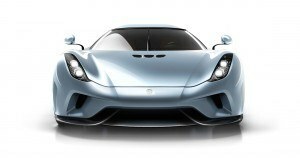 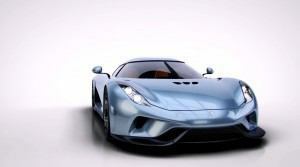 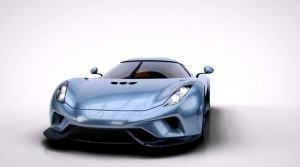 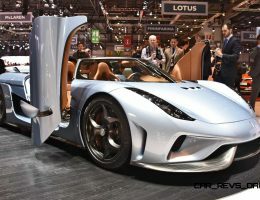 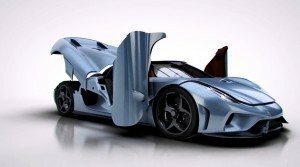 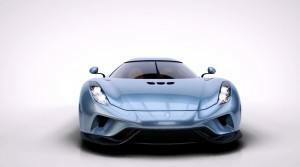 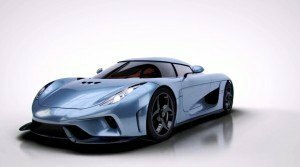 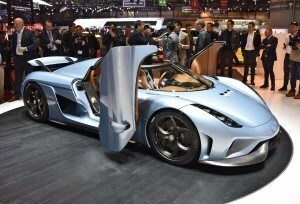 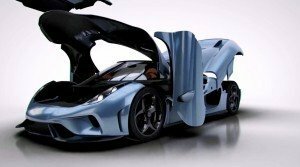 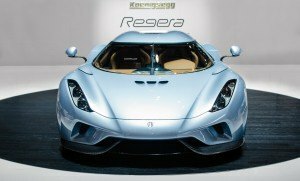 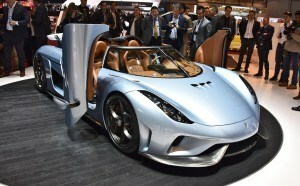 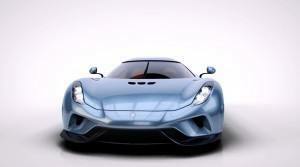 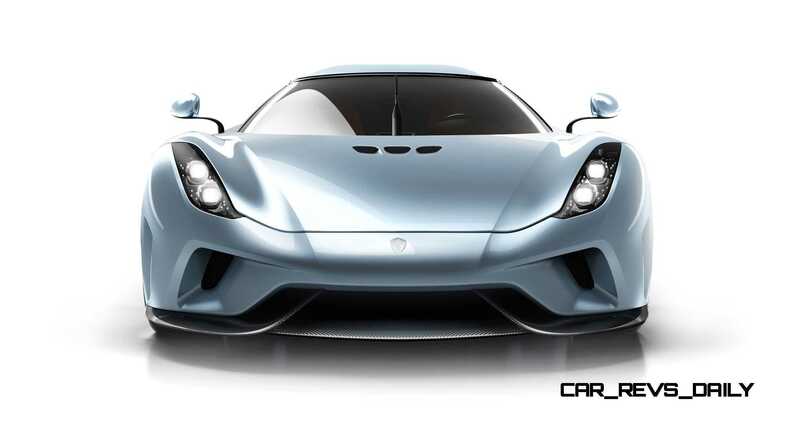 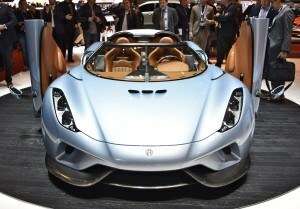 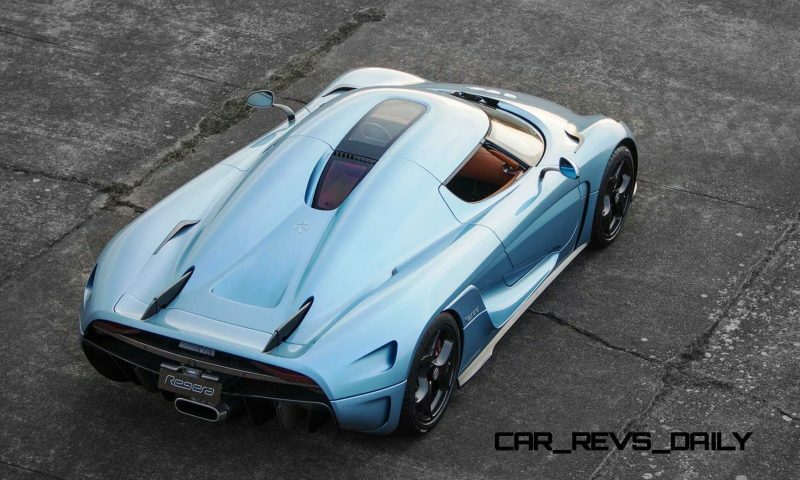 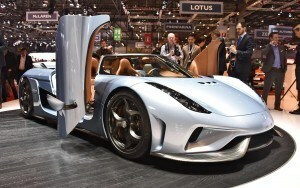 The Koenigsegg Regera was one of the most buzzworthy Geneva 2015 launches. 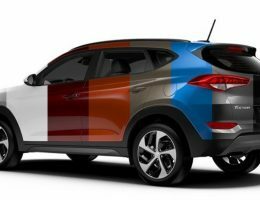 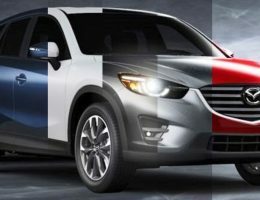 The global debut earned reams of headlines around the world — with collective amazement at the new design and ultra-potent new e-boost powertrain. 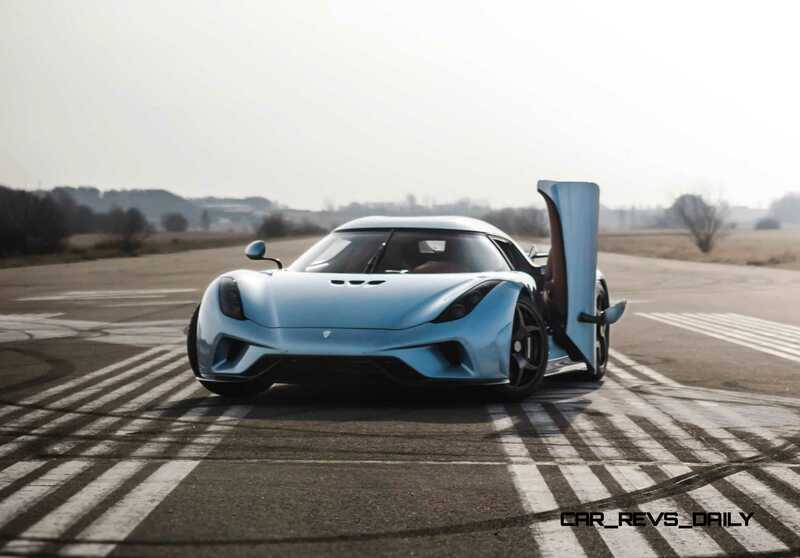 Definitely worth revisiting the car for a closer look ahead of its expected first deliveries in early 2016. 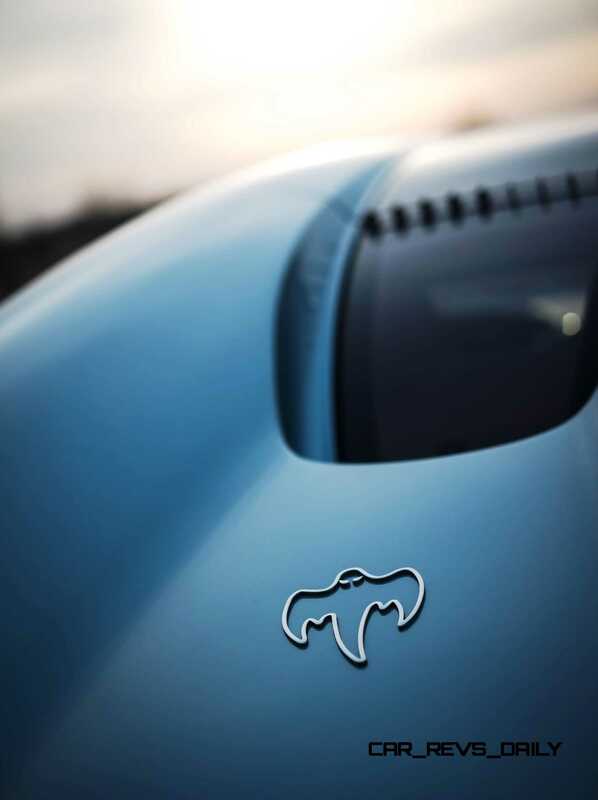 But first: some great news on how to actually get your hands on one! 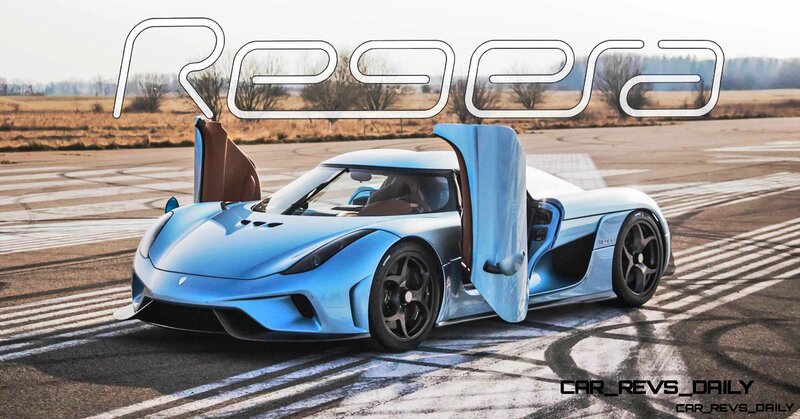 It is a huge, HUGE accomplishment to have the Koenigsegg hypercar certified for US sales. 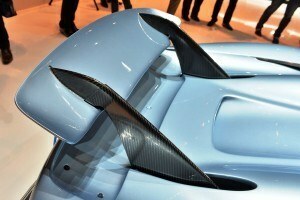 This means it passes all crash tests and road legality rules. 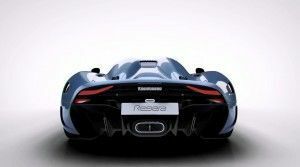 Might seem like no big deal for a huge OEM brand, but for a startup hypercar boutique, this was a big effort and we salute Christian’s team on the achievement. 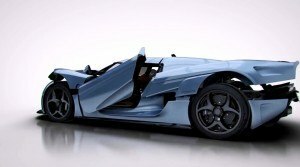 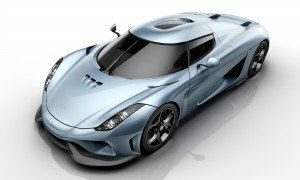 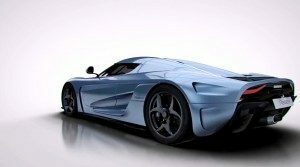 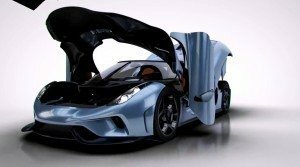 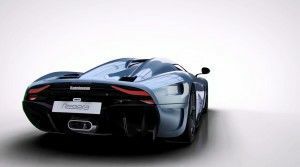 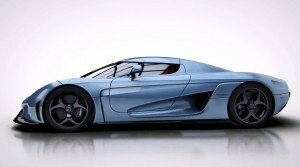 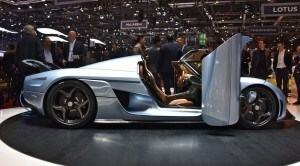 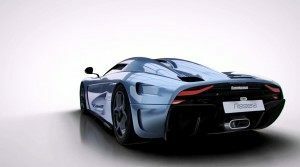 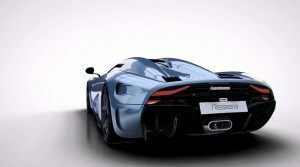 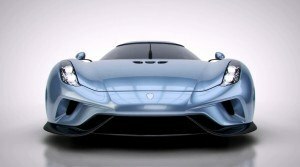 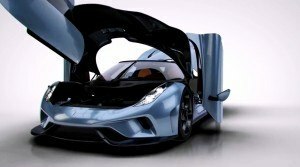 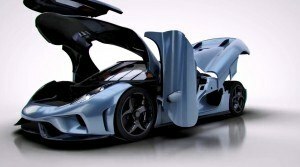 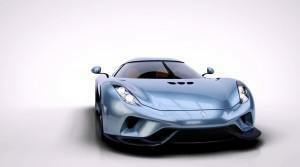 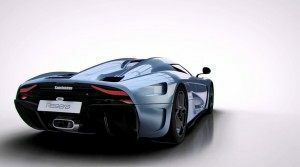 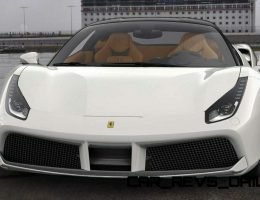 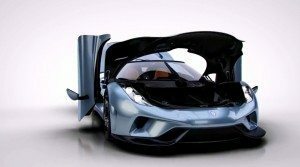 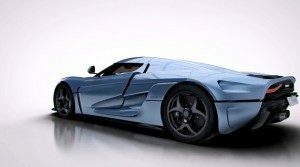 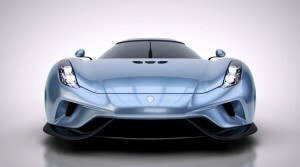 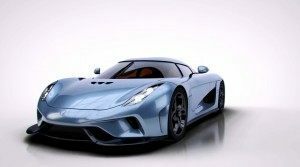 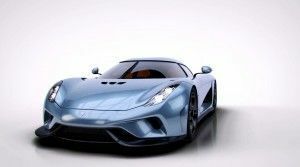 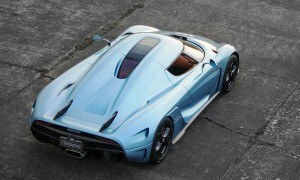 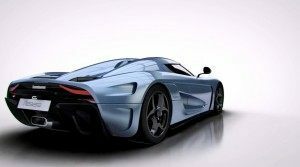 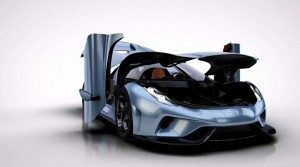 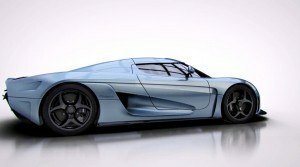 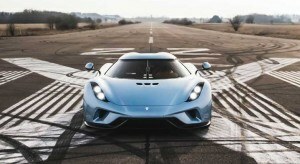 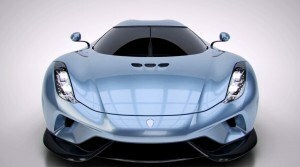 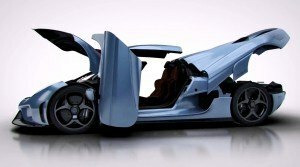 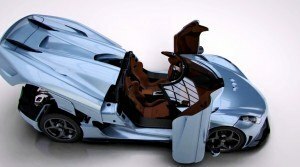 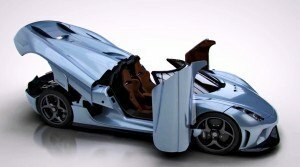 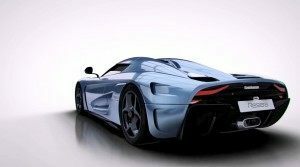 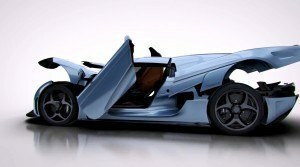 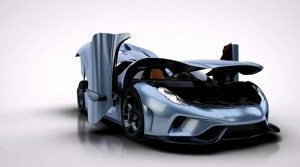 After all, it is hard for Koenigsegg to feel the seven-figure love from US car enthusiasts if the car is not sold here. 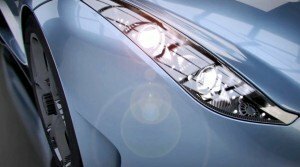 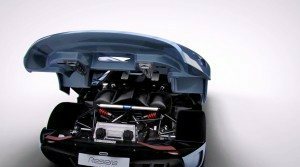 The below animation shows the new power-opening hood, doors and clamshell engine cover. 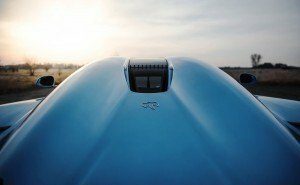 Just the targa top requires physical input for this year. 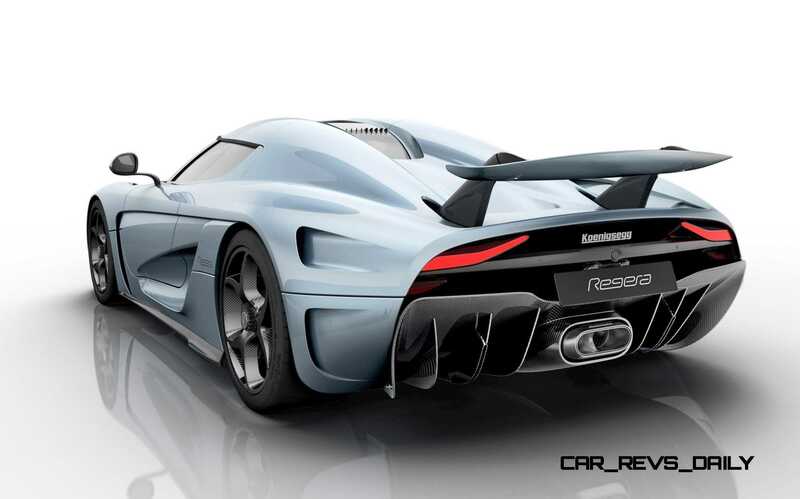 Pretty cool – especially if opened via the remote key, as will be possible. 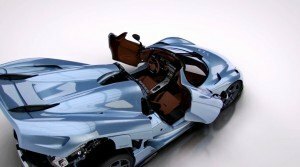 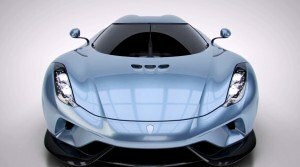 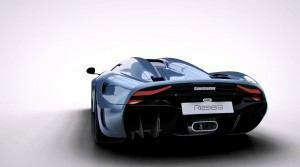 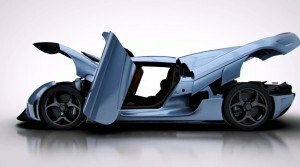 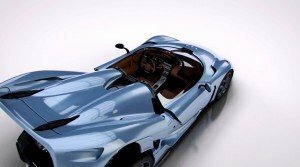 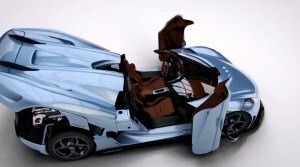 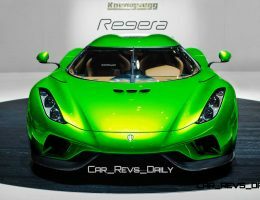 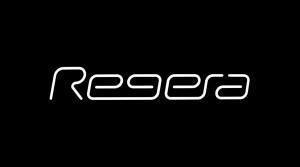 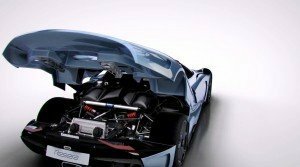 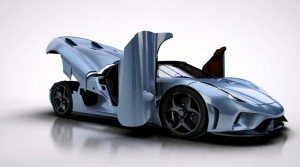 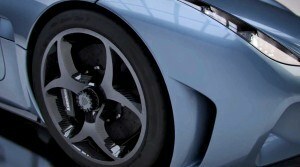 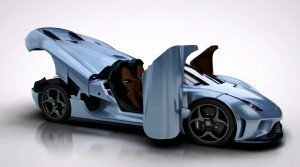 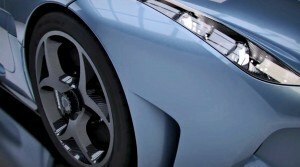 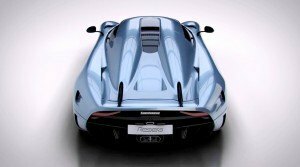 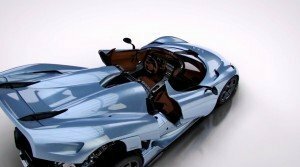 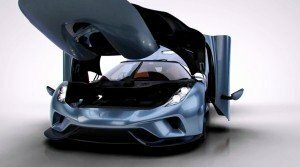 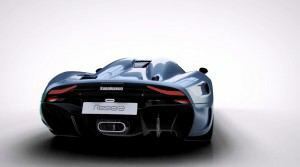 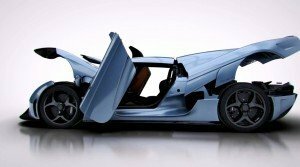 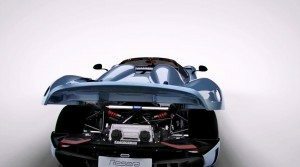 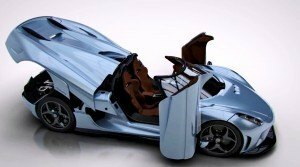 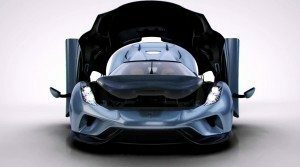 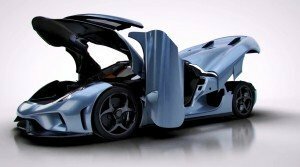 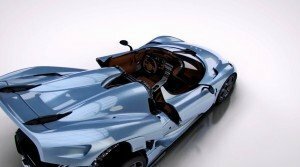 Let’s discuss the design of the Regera versus its competitors from Bugatti, Porsche, Ferrari, McLaren and Pagani. 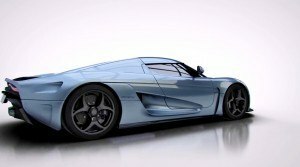 Overall, it is stellar to have a fresh design of any kind. 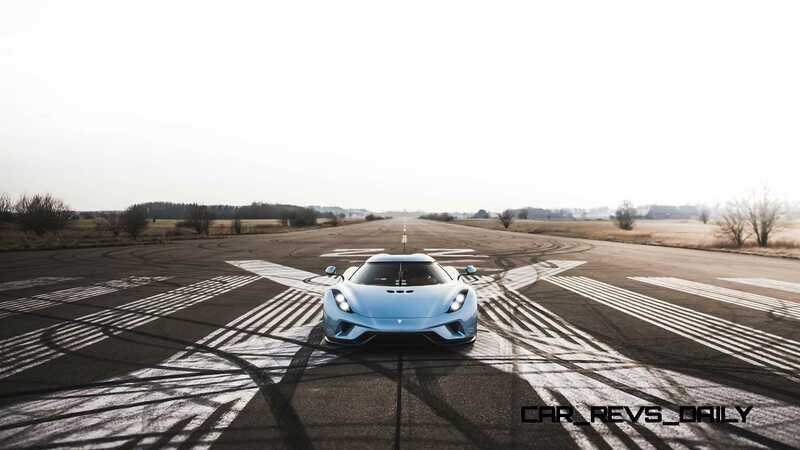 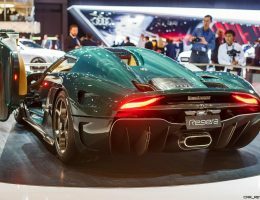 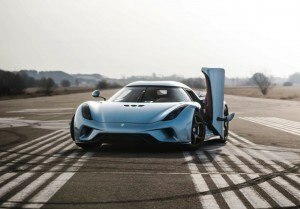 Despite the original early-2000s CC8 changing dramatically to become the new One:1 and Agera RS, the existing Koenigsegg models are feeling too familiar for some eyes. In the 9-car-garage world of hypercar ownership, the newest and hottest machine typically draws the most attention. 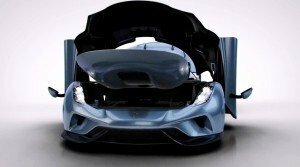 So it should look new, obviously. 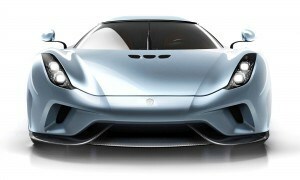 Secondly, it is worth noting how well the original Koenigsegg shape matured over its dozen years on sale. 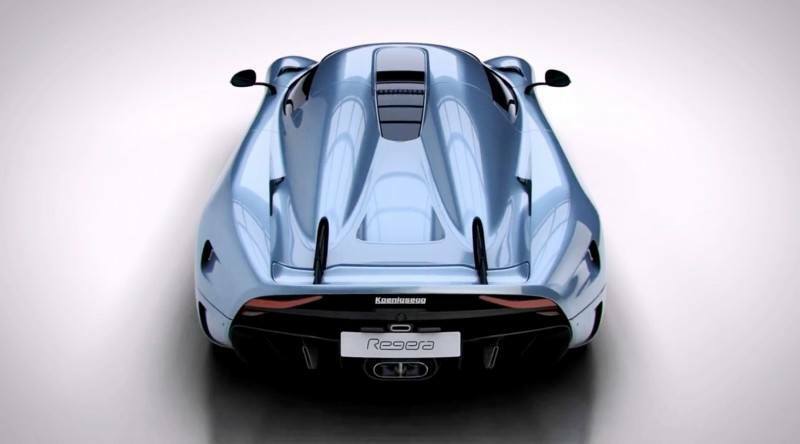 There is a very lovable purity to its lines and forms. 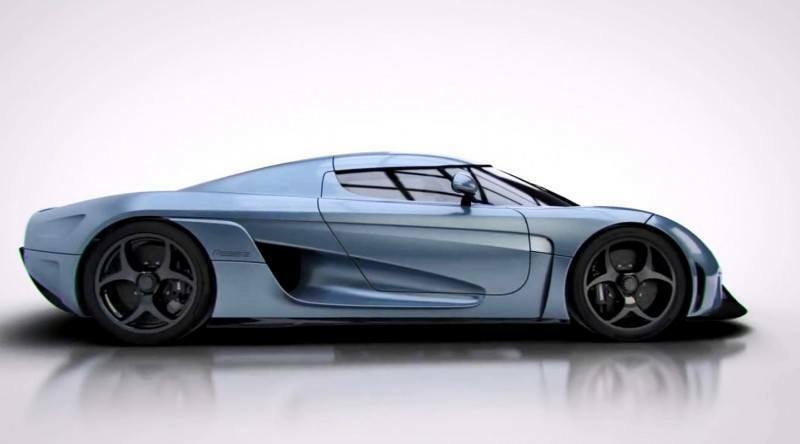 Classic hypercar proportions mean the Koenigsegg is obcenely wide, low and long. 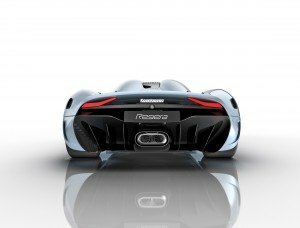 It is physically much larger inside and out than the 918 Spyder and McLaren P1. 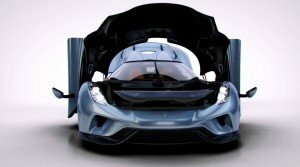 Especially versus the super-narrow P1 cabin. 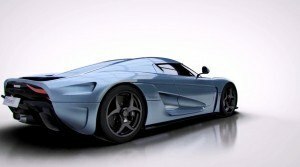 The solid forms and surface language of all Koenigsegg designs feel authentic, strong and exotic. 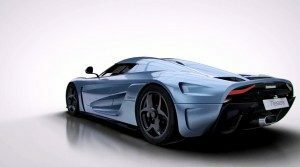 Compared with the ultra-aggressive Pagani Huayra and Zonda, the Koenigsegg feels comfortable in its skin — able to achieve the pace and downforce of any other hypercar with fewer add-on aero pieces. 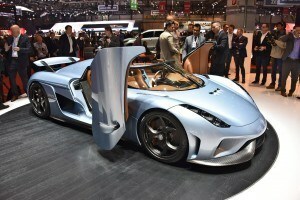 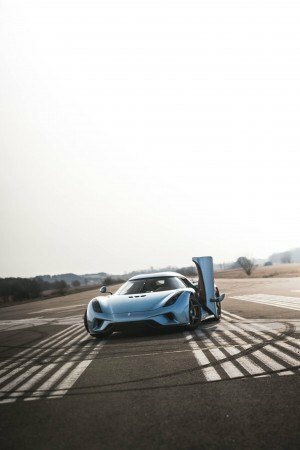 But obviously, as noted, the nose and tail were very tired indeed versus LaFerrari and the Lykan Hypersport (which is not sold in the US, but may snag some of Koenigsegg’s Asian customer attention). 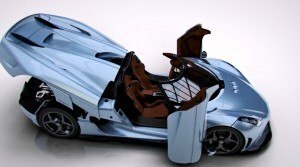 The cabin also benefits from an all-new design, which looks suitably exotic in real life with milled alloy and bespoke detailing close to Pagani levels of artfulness. The design of the Regera is not an instant, love-at-first sight type of hypercar. The look is a grower, however, and warms up with closer analysis. 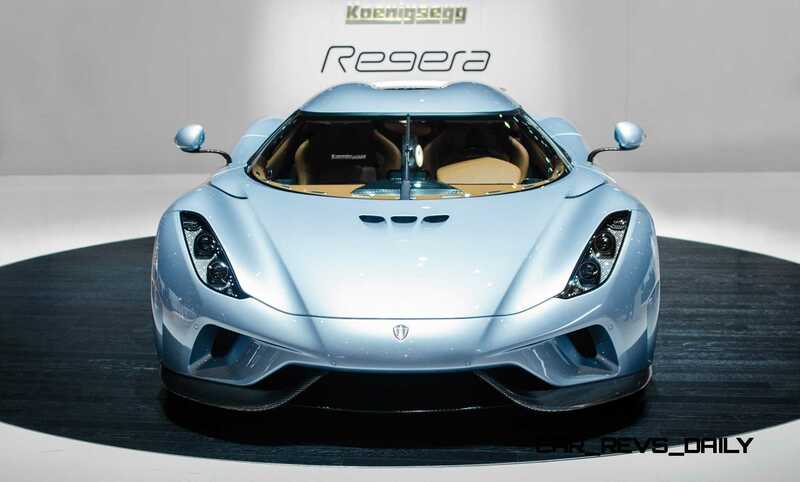 The Regera maintains the organic and flowing purity of its siblings, but adds a big dollop of intrigue all around. 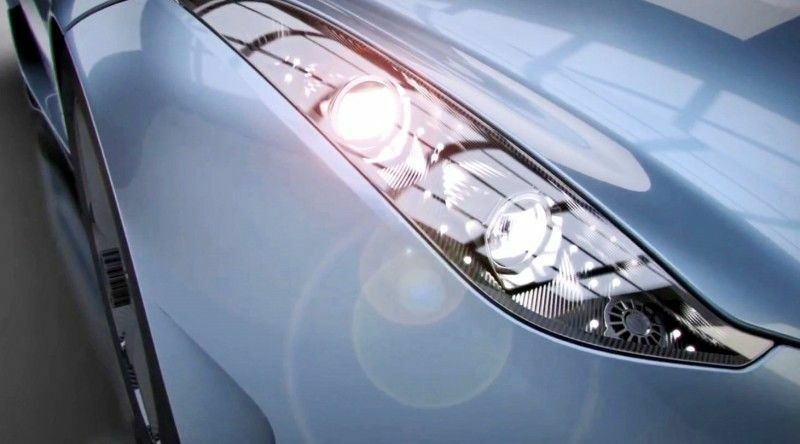 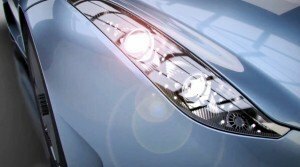 The nose is instantly fresh, with vertically-oriented lighting via quad projector beams and a new ‘constellation LED’ that forms specs of white light sprinkled around the main beams.  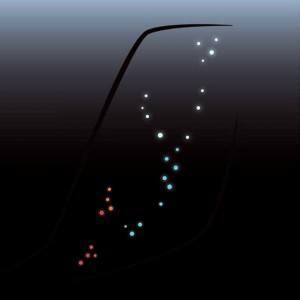 The lower ‘stars’ in this galaxy flip to amber for the turn signals. 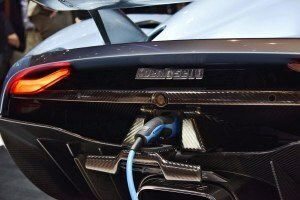 It all feels very fiber-optic, cool and clearly expensive. 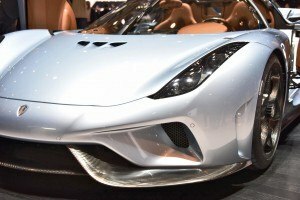 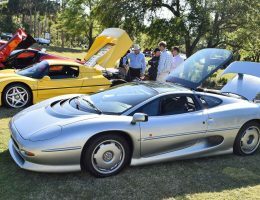 A more pronounced nose cone makes the leading edge of the hood bulge and flow more than the abrupt, rounded cutoff of the Agera. 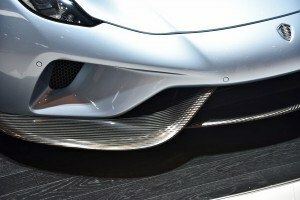 This creamy flow extends sideways into dual side air channels with a huge dual-plane CF splitter on each corner. In profile, the gorgeous Stig-visor glasshouse still wraps the cabin in an awesome way, while the double bubble of the targa roof panel continues its bubble-like shape to provide said Stig with ample headroom even with his helmet on. 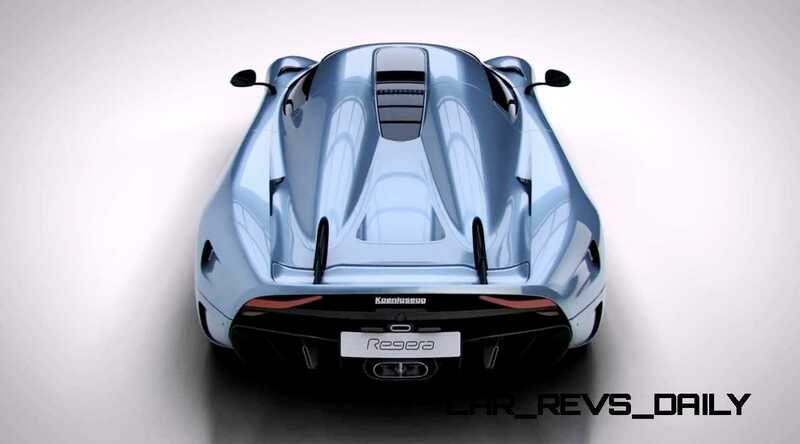 Moving down the body surfaces, the Regera brings a totally different look from any Koenigsegg before. 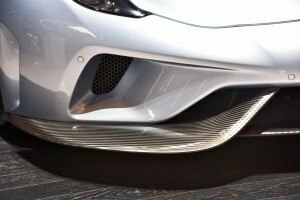 A deep beltline crease flows up from the tail toward the door mirrors before plunging downward and forming a front fender vent. 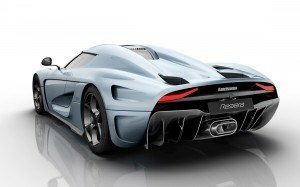 Gigantic side intakes carve their way from the rear fenders up to about the half-way-point of the front doors, with an elegant rounding inside the shape but crisp and sheer surfacing on the edges. 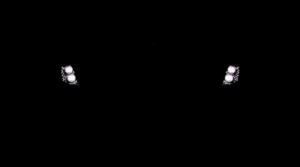 These are not scoops sticking out from the body. 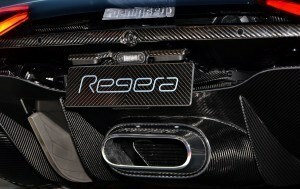 All integrated and clean. 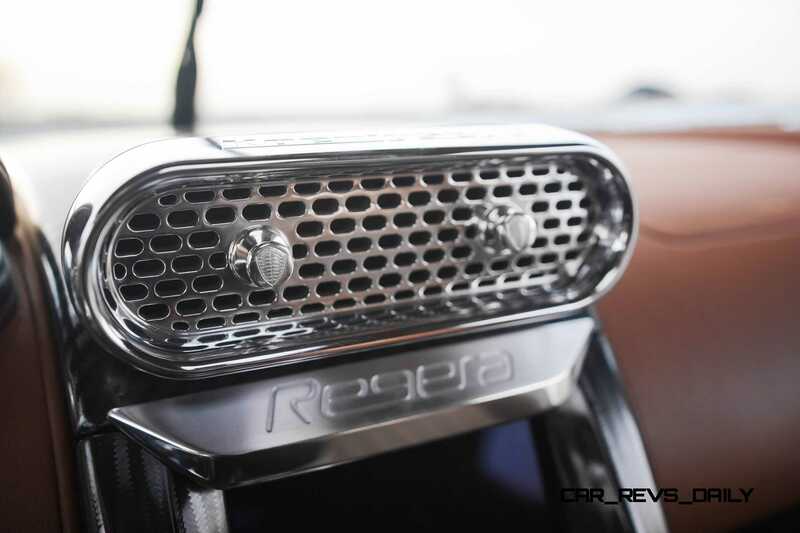 A new layered panel shape climbs around the pinched lower edge of the intake and up toward the rear wheel-top. 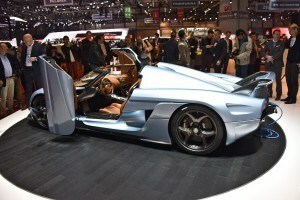 It is unique and special, to be sure. 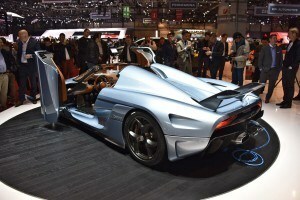 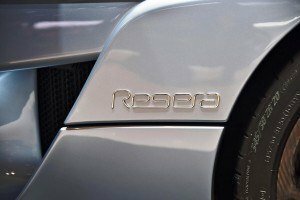 The tail of the Regera is its most innovative angle, but also its most polarizing and angle-sensitive. 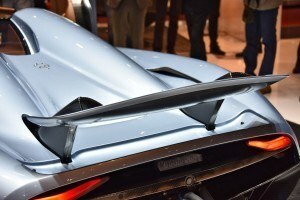 From some angles, the giant round trunk-top of body-color can look awkward next to the dark carbon-fiber of the tail proper. 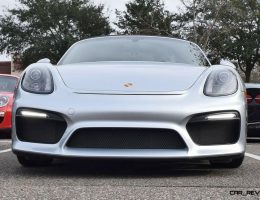 It can look like a sad clown’s drooping face from some angles, at first glance. 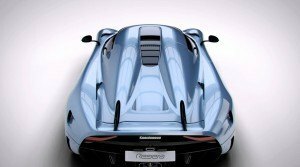 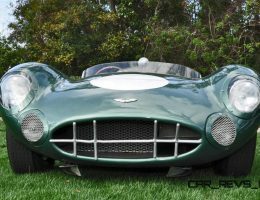 But the premise and aero principles of this bullet-rounded fenders with a sharp rear cutoff is pure wind-tunnel knowledge. 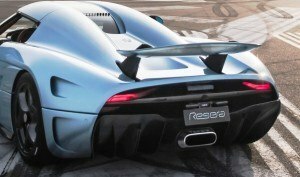 A real stream-liner aesthetic recalls some of the fastest vehicles ever made — and makes the Regera’s theoretical Vmax of 300-mph plus feel authentic, even when parked. 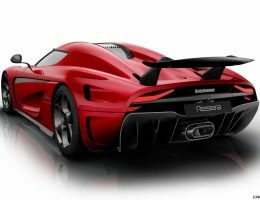 From other angles, and especially with the new flush-mounted spoiler in its tallest position nearly 8 inches above the bodywork, there is a really stunning aesthetic to appreciate. New vents in the rear fender-backs have the same melty and soft flow as those in the nose. 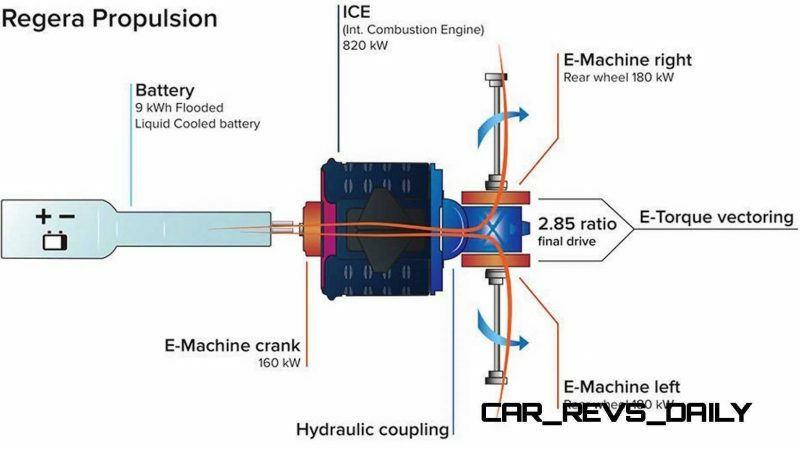 Very cool and clearly functional to the core. 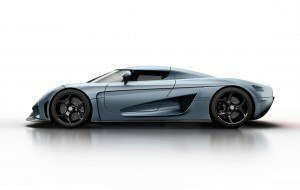 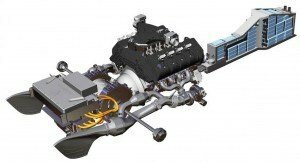 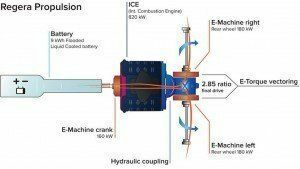 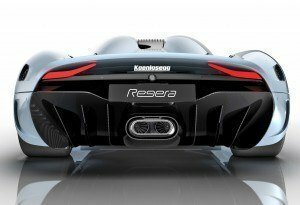 So, in summary, Koenigsegg needed a new design for this incredible new powertrain (discussed below). 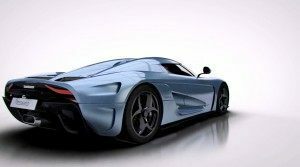 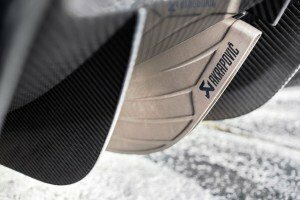 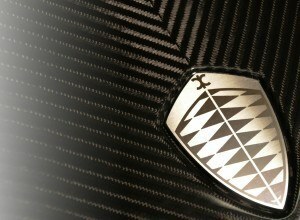 And like every Koenigsegg tech, engineering and design solution, the results of the all-new Koenigsegg shape are innovative and dripping with brilliant originality. 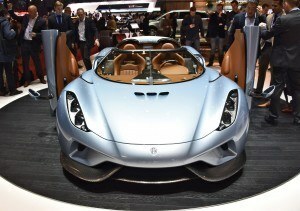 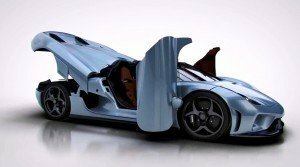 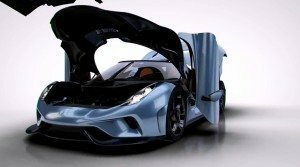 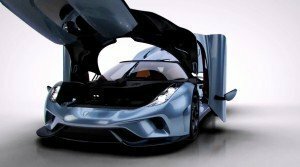 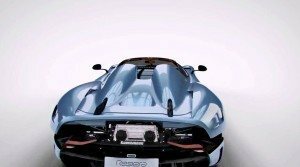 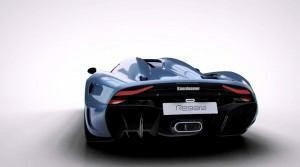 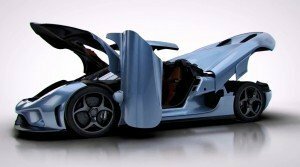 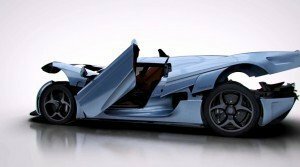 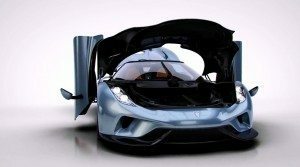 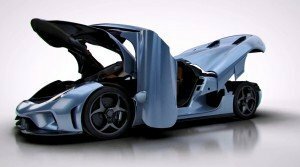 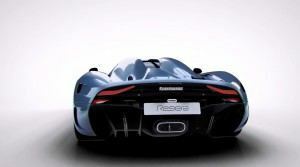 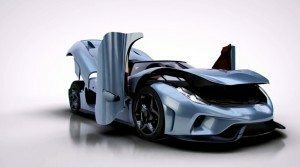 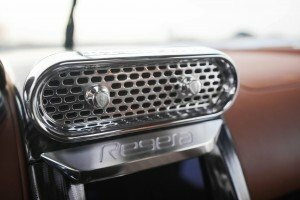 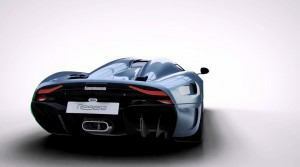 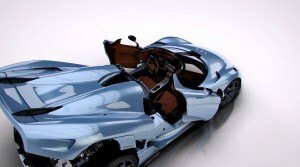 If you have around $3-million burning a hole in your Prada slacks — the Regera looks set to top the hypercar segment on overall horsepower by more than 300-horses over the Bugatti, and almost 500 above the also-PHEV LaFerrari and McLaren P1. 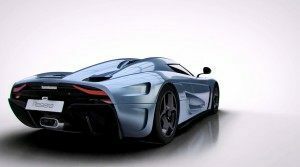 Definitely make yourself known to Lake Forest or Manhattan Motorcars if you are in the market for a hypercar. 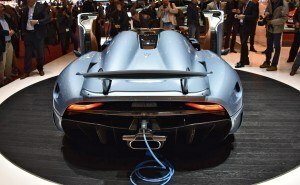 While you’re at it, ping me when the car is delivered!